The Alliance works on behalf of its members to promote and develop the occupation, represent members in national negotiations, and obtain recognition for private sector practitioners. Alliance insurance covers members for up to £6m, and its rolling programme creates Continuous Professional Development (CPD) opportunities, disseminates information and provides a spectrum of educational events. The Alliance keeps its members fully informed and up-to-date. In addition, the Alliance provides practitioner support, business advice, fellowship and social interaction. The Journal, Annual Conventions, and more are all accessed by membership. 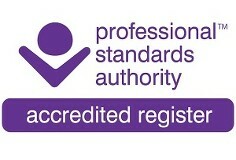 A register is maintained for Foot Health Practitioners which meets the standards imposed by the Professional Standards Authority for Health and Social Care. The Open Clinical Forums and Annual Conventions are professionally staged, well attended and delivered by top-flight speakers in good venues. Students are actively encouraged to attend these meetings which offer a programme of lectures and access to trade-stands carrying instruments, books, materials, etc. Annual Conventions and OCF meetings are open to absolutely anyone who wants to attend, whatever background or experience level - all will be warmly welcomed. Open Clinical Forum branches meet in the Branches are in West Midlands, North Wales, Yorkshire and Southern Ireland.